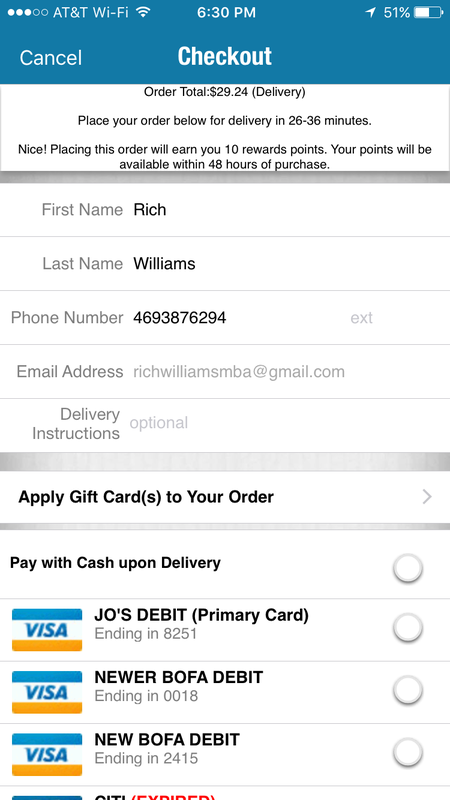 Dominos is my favorite pizza app. User experiences and apps are what I make, so here are a few things I’d change. Entry screen call to action is “checkout.” I always push this button when there’s nothing in my cart. 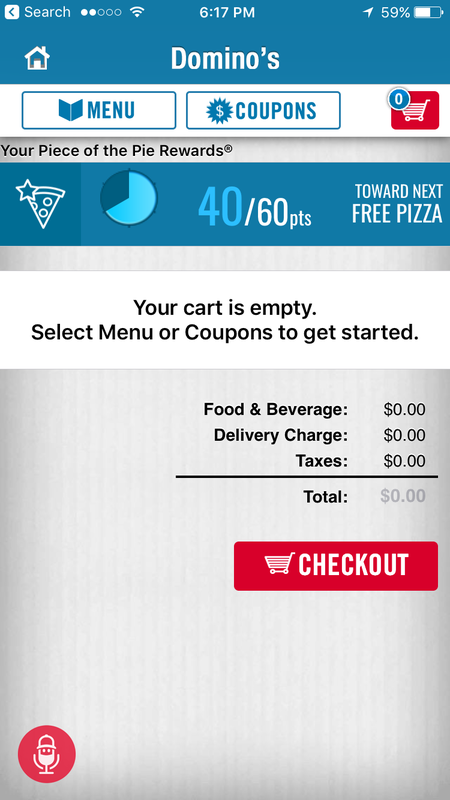 The red button should be disabled or say “menu” or “coupons” when the cart is empty. Which leads to this screen. 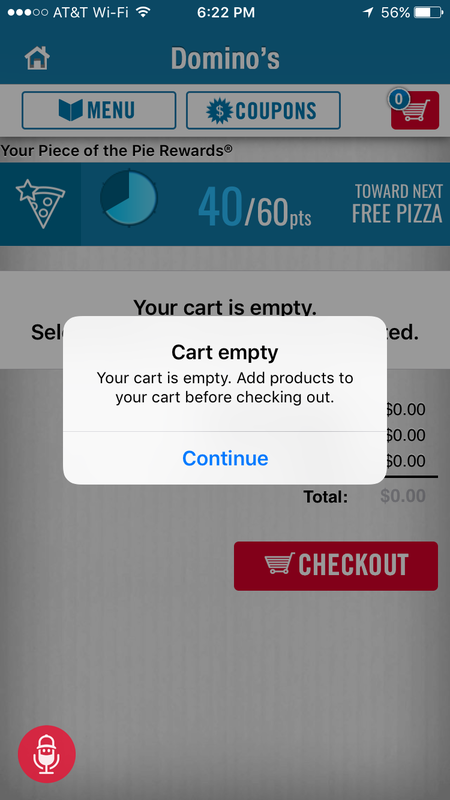 Problem is, “continue” takes me back to the empty cart “checkout” screen, not the menu or coupons. 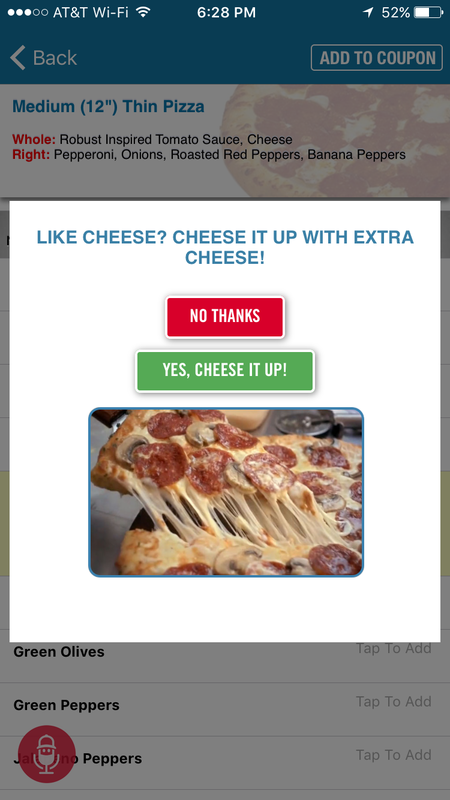 This “cheese it up” modal is great, but clicking yes could add $2 to your order. Problem is, not knowing could irritate me if I wasn’t expecting the upcharge, or I might REALLY want extra cheese and assume it adds $5 and pass. I’ve already confirmed my address at the beginning of this process, so taking up a full screen’s worth of real estate with some things I can’t change and other info that’s probably accurate considering I chose my address wastes my time choosing a card for the transaction. 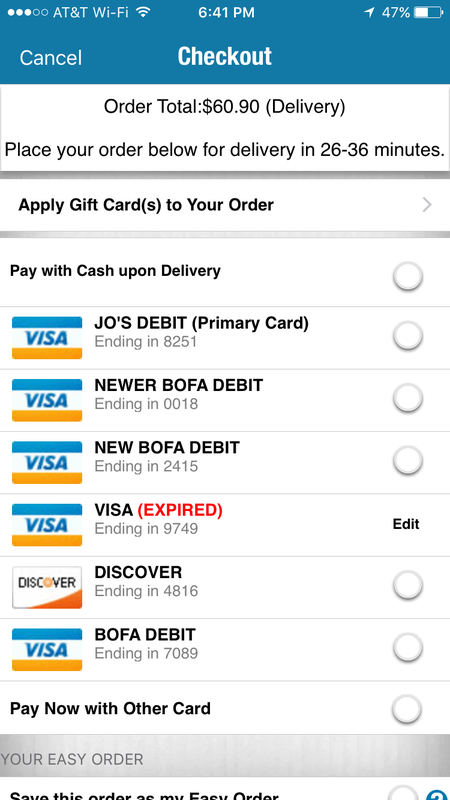 I can also only delete expired cards from the choices, most of these cards have been replaced on our end, and I’d like to delete them. 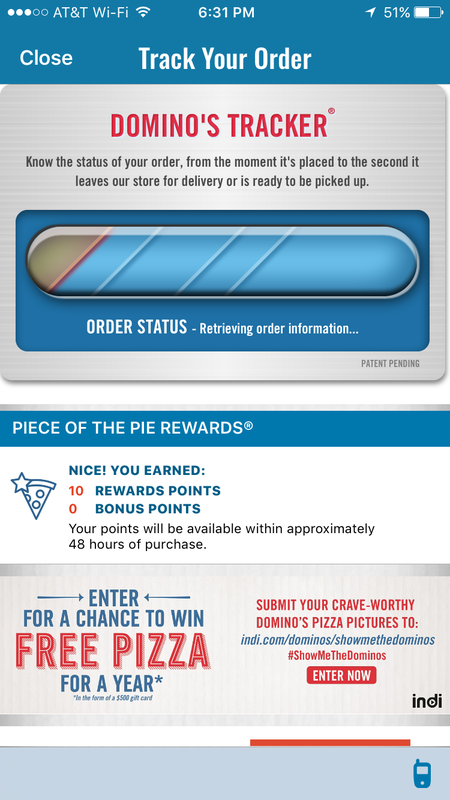 After ALL this, I have to enter my Dominos password to checkout. 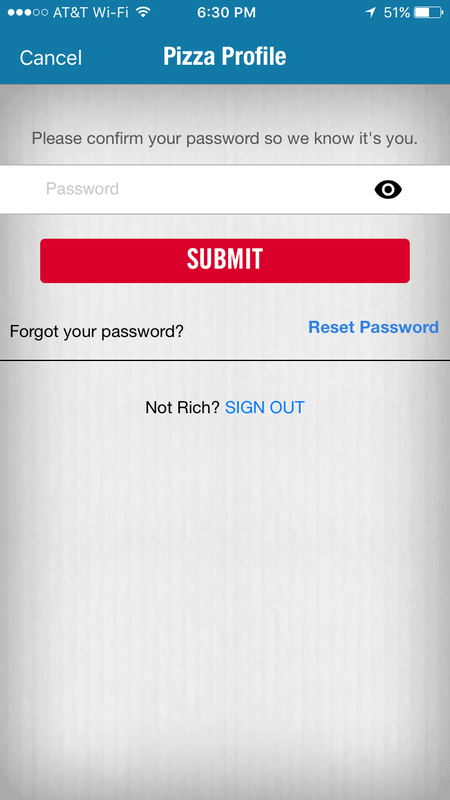 If you’re going to require a password, do it at the beginning, and figure out a way to bypass it with a thumbprint. Considering how complicated this app can be, I’m not too worried my 4yo is going to accidentally order a pizza or a nerdowell is going to hack my phone and order a pizza. And last, this tiny flip phone icon at the bottom of the screen calls my store in case I have any last minute changes. A great feature. Problem is, I thought this icon let me use my phone as a walkie talkie. Stick with a hyperlinked numerical phone number for accessibility purposes. A developer should rarely assume I know what a flip phone icon means.